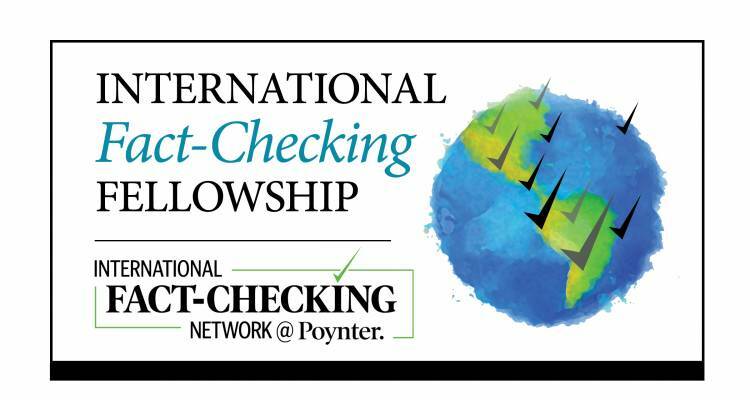 The International Fact-Checking Network (IFCN) at Poynter is accepting applications for its annual fellowship program. The two fellowships, worth $2,500 each, are aimed at fact-checkers seeking to spend time embedded at a fact-checking organization in another country to be exposed to best practices they wish to adopt. These are entirely self-organized fellowships: Applicants must specify the organization they want to visit, pitch a detailed plan that includes the duration of their stay and what they seek to learn from the experience. They ought to spend at least one week with the partner organization. In order to qualify, applicants must hail from a fact-checking organization with a public working method, transparent funding sources and a commitment to nonpartisanship. Being a verified signatory of the IFCN code of principles is a plus. Though the preference is to award two fellowships worth $2,500 each, exceptional projects for which a higher budget is indispensable can apply for $5,000 and be considered. Applications should be emailed in a single file to factchecknet@poynter.org by Aug. 31. Interviews will be conducted with any organization scoring eight points or above. A final decision will be made by Sept. 15. The exchange must take place by Jan. 31.